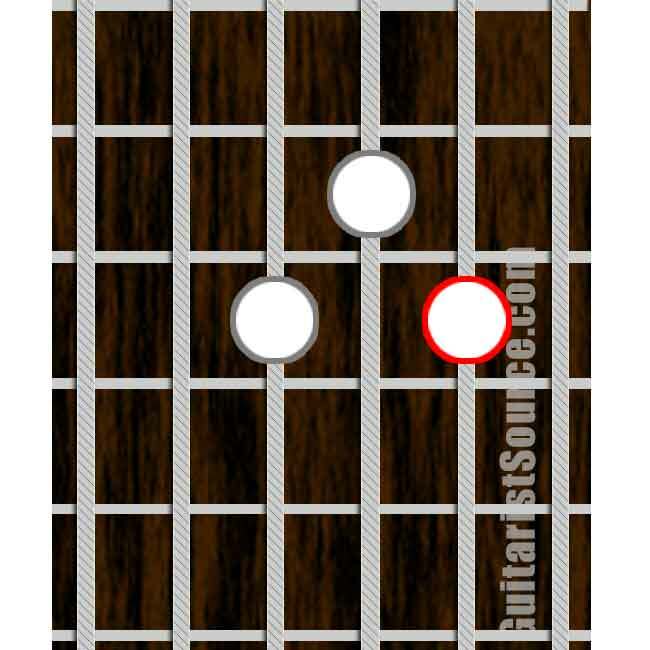 Minor Triads are a group of 3 notes from the major scale; the first or root note, the flat third, and fifth notes. 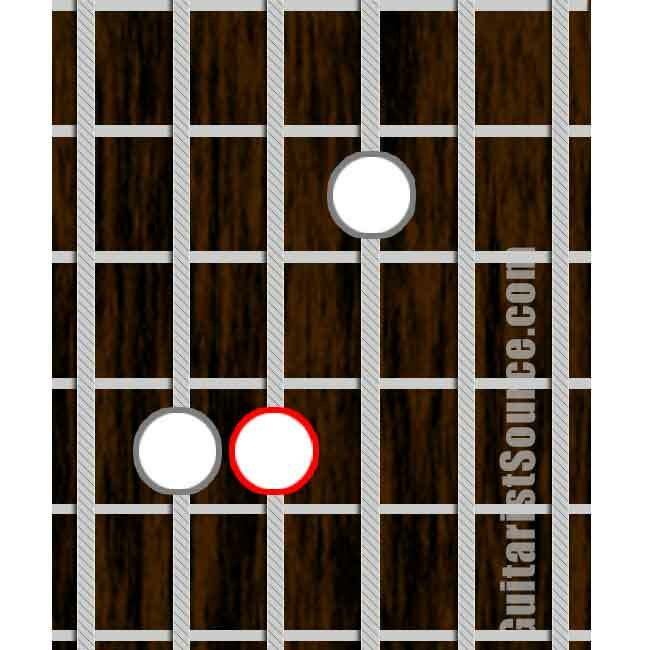 The flat third makes the triad or chord minor. 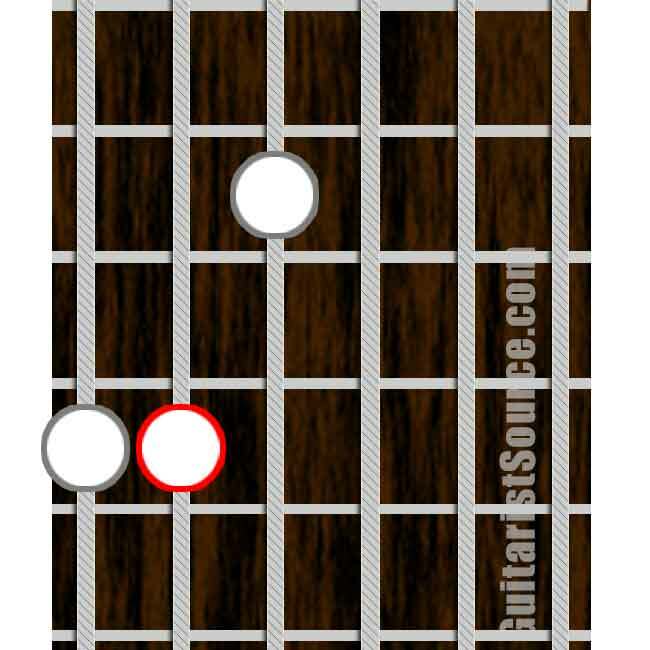 The diagrams below show the minor triad forms used on different groups of strings. 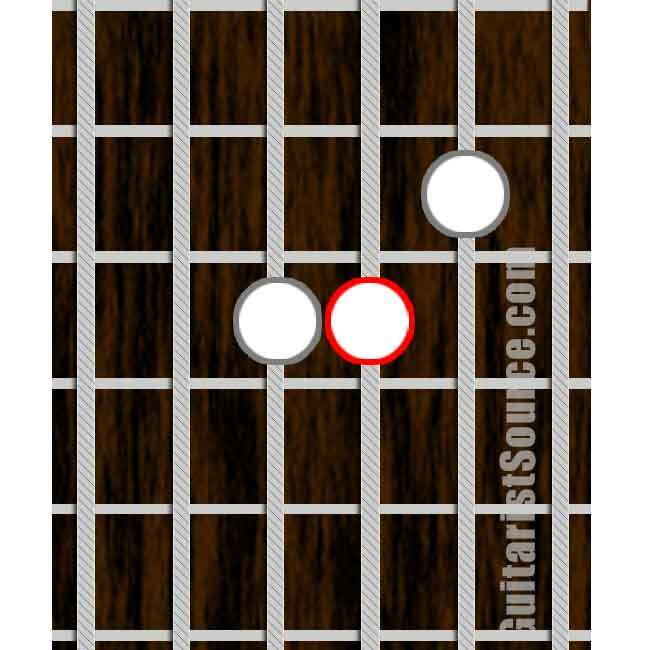 The root notes are circled in red. 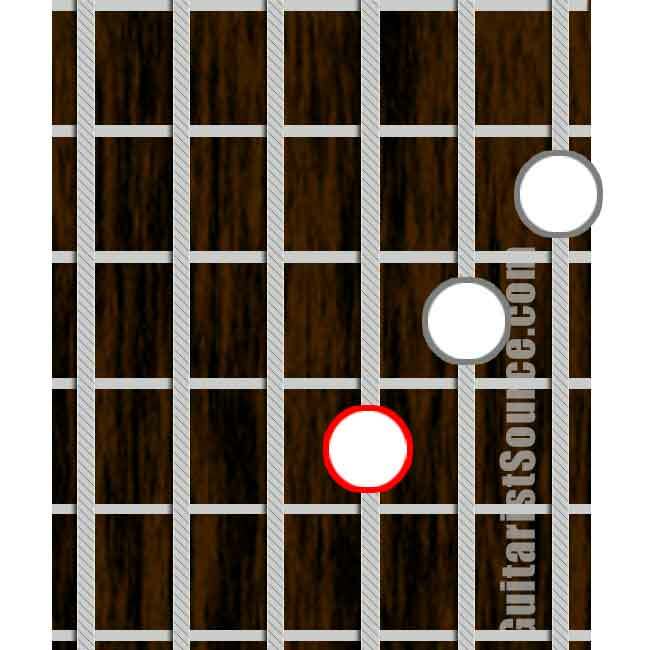 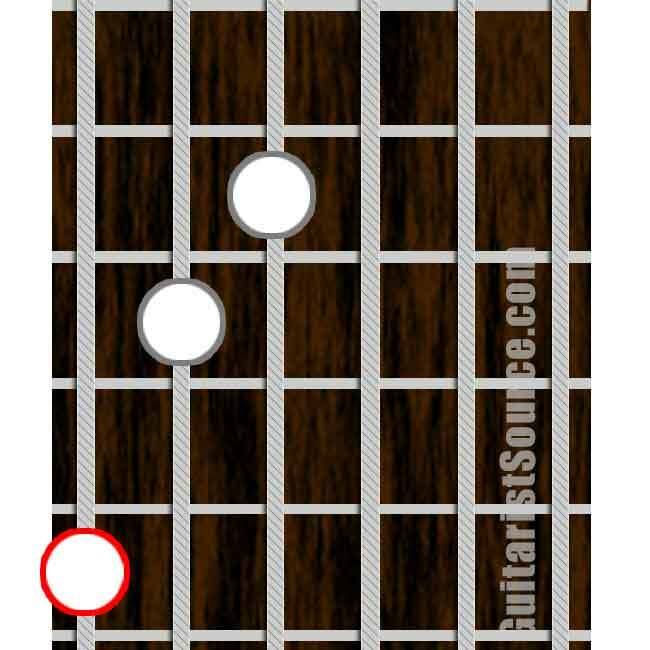 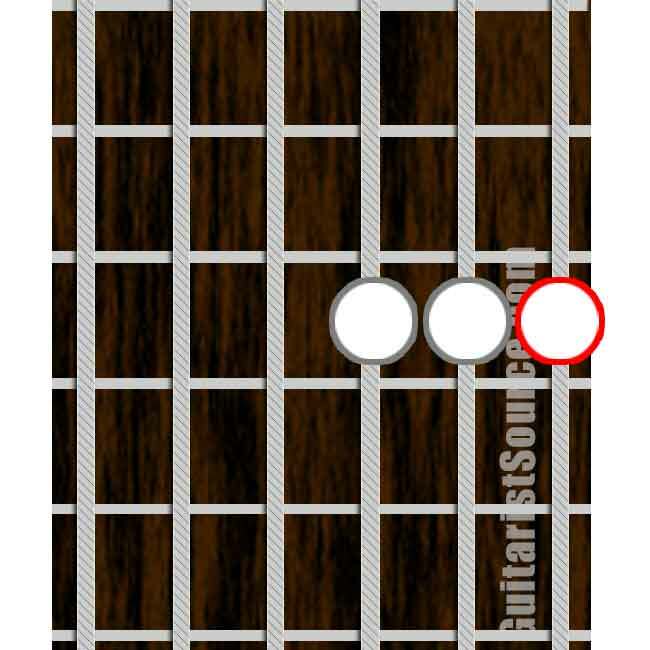 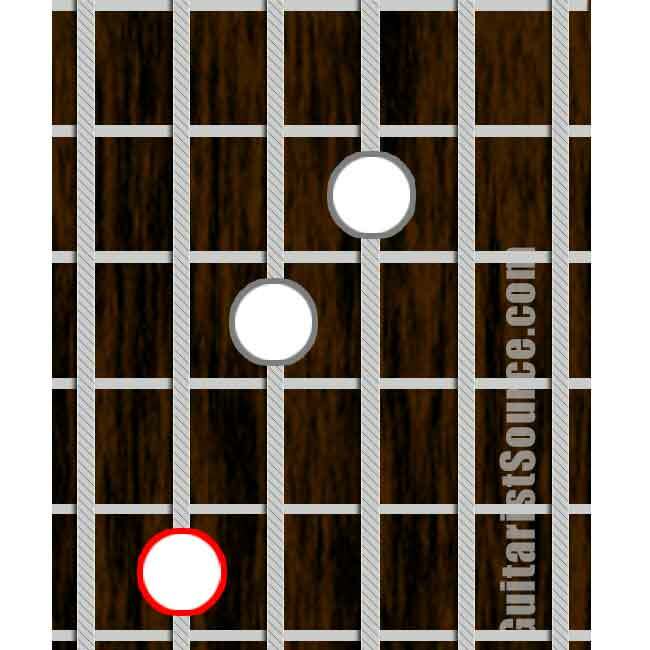 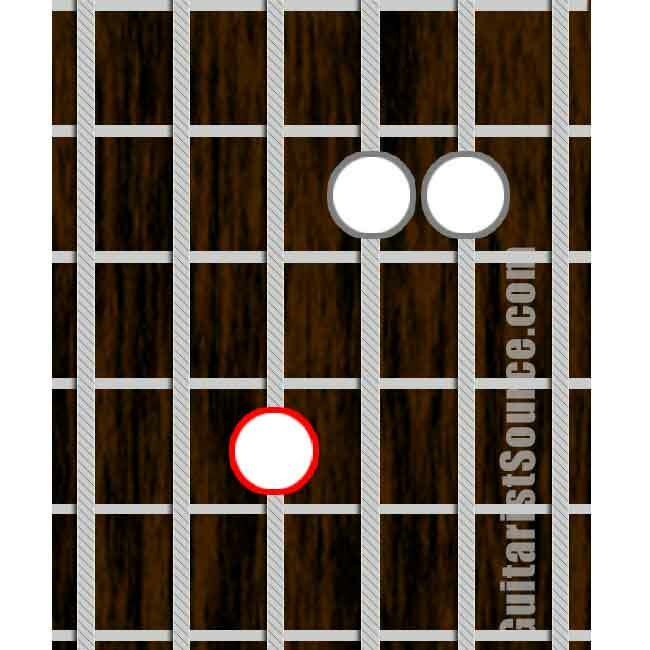 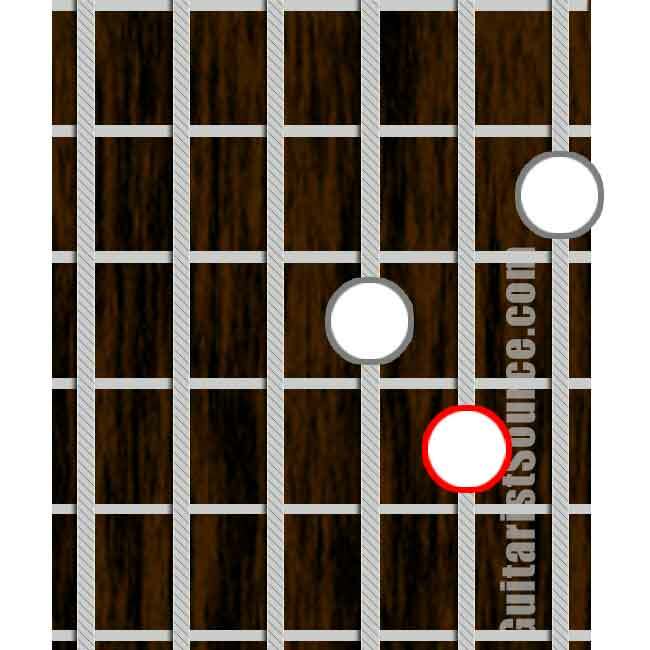 These triad forms are moveable up and down the guitar fretboard as long as you stay on the same group of strings.